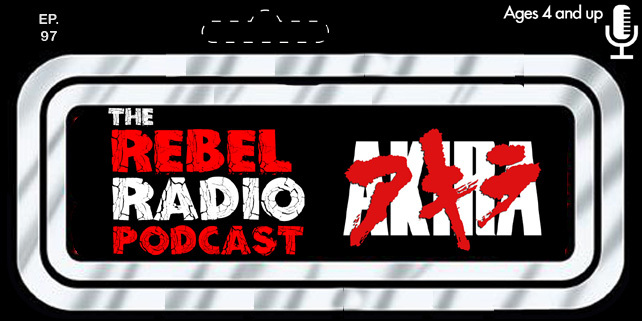 Episode 47 Of The Rebel Radio Podcast Now Playing! The Rebel Radio crew are joined in studio by the founders of Gray Bear Comics to discuss their first book titled Speak No Evil! Justin Corbett of Comical Podcast and George Tripsas of Metal Geeks have come together to collaborate on this awesome new project. They are running a Kickstarter to get the book off the ground running and they are here to tell you all about it! Find out what Speak No Evil is all about and the artists and other contributors they are working with on this amazing book! They tell you the break down on what to expect in the comic and they don't leave out what cranny or evil thing left on the floor as they get ready to unleash Speak No Evil to the comic book masses! They stick around as we discuss season 2 of Daredevil and give our thoughts on it as well as the season finale of The Walking Dead and our thoughts on the trailer for Rogue One: A Star Wars Story! That's not all as we play for you Mark's lost interview with creator of The Crow James O'Barr from 2014! Enjoy this fun and packed episode and check out Justin and George's Kickstarter below and help out if you can! Gray Bear Comics - Everything you need to know abut Speak No Evil and backing the Kickstarter can be found here!